When wearing the Geralt Potion Holding Bracer, you can always be sure your most vital potion is within arms length. 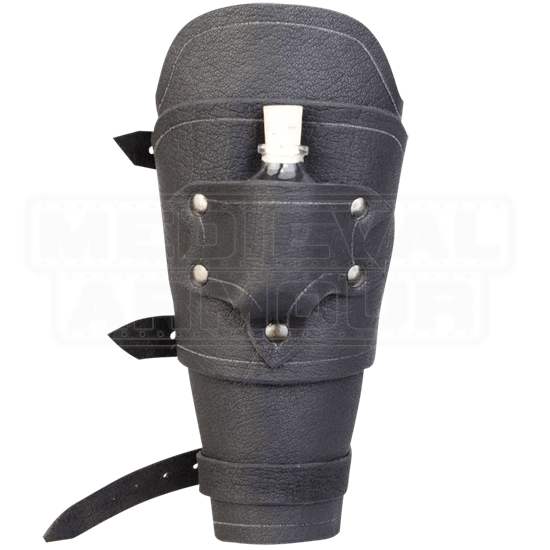 This high-quality leather bracer features a convenient pocket intended to securely hold a single small bottle. Sold individually, choose to store your potion on either your right or left arm, or purchase two for twice the carrying capacity. 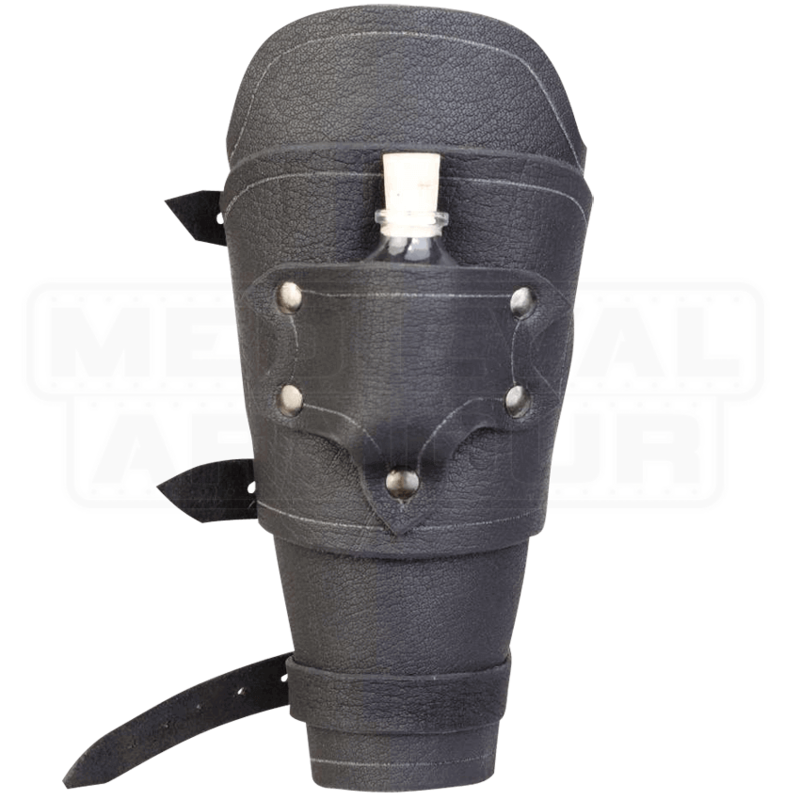 Besides the potion holding pocket, this leather armour piece is impressive on its own, featuring a well crafted, layered design. The bracer is attached to the forearm with three adjustable straps, ensuring a comfortable, customizable fit. Please be aware that the bottle is not included, but can be purchased separately on the site.